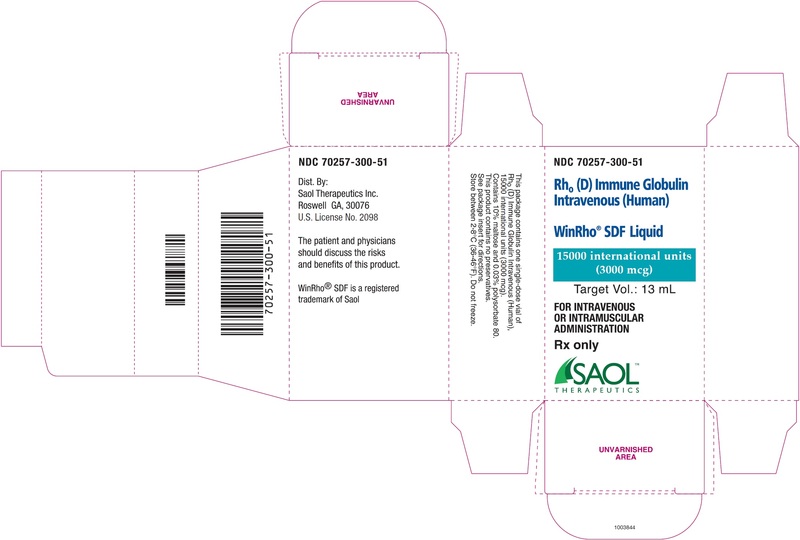 Winrho Sdf with NDC 70257-300 is a a human prescription drug product labeled by Saol Therapeutics Inc.. The generic name of Winrho Sdf is rho(d) immune globulin intravenous (human). 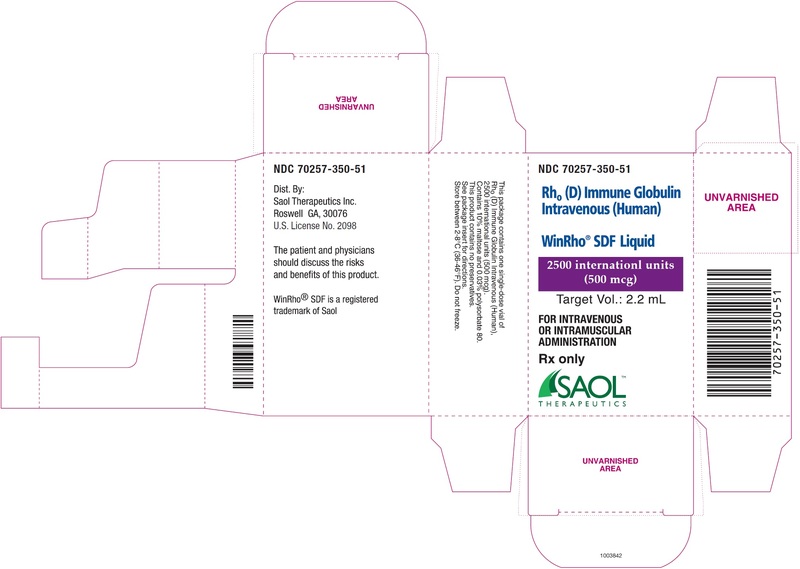 The product's dosage form is injection and is administered via intramuscular; intravenous form.